James Heather plays the piano. So far so good. However, Heather is one of the new “post classical” set – linking him alongside such names as Max Richter and Nils Frahm. The range of influences in his piano are many and varied, so you can expect to hear everything from classical to jazz, electronic to experimental within his compositions, making for an often rich and complex variety of musical structures. 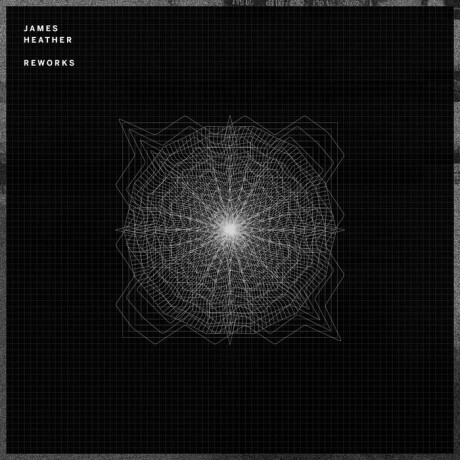 This album, “Reworks”, focuses on remixes, reworks and alternate versions of his work from a variety of artists, including Heather himself, with often beautiful results. The source material is generally taken from Heather’s debut album, “Stories from far away on Piano”, though a selection also comes from the “Modulations: EP 1″ set too. Starting off with “Ruqia (Echo Collective Rework)” and ending with “Blueprint (Chihei Hatakeyama Remix)” we hear everything from experimental sounds and structures through ambience, light electronica to neo-classical via jazz, and all is amazingly listenable. The first track mentioned is a haunting slice of strummed bass and pinged keys, with layers of wash over and three the mix. The ambience continues into DJ Seinfeld’s remix of “MHope” – a slowly repetitive refrain building into a crescendo of piano – a musical wave that washes over you and then continues to build higher. The string quartet version of “Empire Sounds” is stunning, and very Björk-esque – an insistent piano refrain being washed over by whirls of strings that could have come directly on the winds from Iceland. Sarah Davachi’s rework of “Bad Role Model” is similarly swirling, though the sounds of discord and dark ambient washes bring something of the sinister onset of a storm to the mix. On an album that barely tops 35 minutes it is incredible to hear such variety and such consistently high quality. No track here is not worthy of merit, and certainly the iron test. If put on shuffle, there is no track I would try to skip in order to hear something else – everything is solid and worthy of repeated listens. Favourite? !K7′s Aparde and his emotive techno mix of “Biomes”, which is about as beautiful a slice of music to dance to as I’ve heard in years – real music to get lost in. Special mention also has to go to Chihei Hatakeyama’s remix of “Blueprint”, which has a very strong emotional melancholy pull – a remix befitting a Japanese ambient music icon. Not quite what you might expect from a label like Ninja Tune, but all the better for it. An album of remixes that could all too easily fall through the cracks of people’s awareness. Seek it out, this is an album you will listen to again and again.